UC Berkeley law professor John Yoo says he has "grave concerns" about President Trump's use of the executive power to impose a travel ban from Muslim-majority countries, withdraw from NAFTA and build a wall along the U.S.-Mexico border. In a New York Times op-ed published Monday, Yoo writes that President Trump has shown little understanding of the roles of the three branches of government and risks "haphazardly wasting the executive's powers." Yoo, who served in the Justice Department under President George W. Bush, wrote the "torture memos" defending the use of enhanced interrogation techniques during the Iraq war. We speak to him about the scope and limits of executive power. 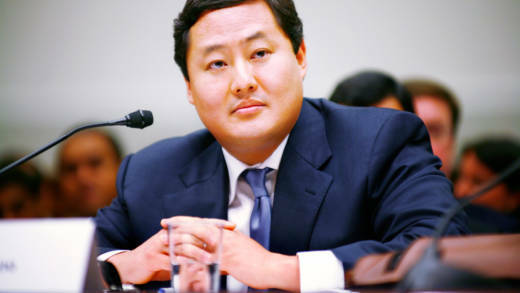 John Yoo, Emanuel S. Heller professor of law, UC Berkeley School of Law; author, "Point of Attack: Preventive War, International Law, and Global Welfare"